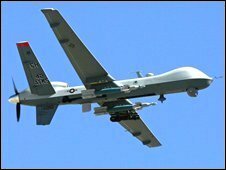 The predator drone attack which killed two senior al-Qaeda operatives on New Year's day is the latest chapter in an intensive campaign by the US. Many in Washington believe it is having a significant impact on al-Qaeda and its ability to operate. The two operatives killed in the most recent strike had both been wanted by the US for years. "We believe strongly that Usama al-Kini and Sheikh Ahmed Salim Swedan are in fact dead," a US counter-terrorism official told the BBC. 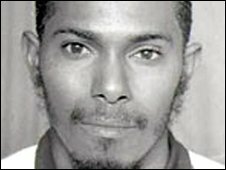 Both Kenyans were listed on the FBI's Most Wanted Terrorist list for their role in the 1998 African Embassy bombings with a $5m reward on offer. Al-Kini had moved from Africa to the Pakistan-Afghanistan border region where by 2007 he had become director of operations for al-Qaeda in Pakistan. The CIA believes he played a key role in an unsuccessful attempt on the life of former Pakistani Prime Minister Benazir Bhutto in 2007. She was later killed in a separate attack. They also believe he was involved in the high-profile bombing of the Marriott hotel in Islamabad last year. The men were killed by an unmanned Predator drone carrying Hellfire missiles, the latest strike in an intensifying campaign with around two dozen such attacks since last summer. According to analysts, the campaign is the result of the lower degree of certainty required to launch missiles, and a decision to increase the number of strikes and widen the target set of what can be hit. But it also thought to be the product of new technology being employed. Last year I visited Creech air force base in Nevada, where the military drones are controlled from. The CIA drones used in attacking high profile al-Qaeda targets are controlled from a separate location. Inside a ground control station, we saw grainy pictures beamed back from Afghanistan of a Taleban compound which the drone was preparing to fire on. The drones have highly advanced sensor balls hanging out of their underbelly which can beam back pictures as well as provide other forms of data. The drones offer other unique advantages, according to Colonel Chris Chambliss, in their ability to stay over a target and watch for a longer period than a manned flight. "The weapons are the same that we carry on manned platforms so it's not the weapons per se but it's the persistence," he told me. "It's what we call the unblinking eye." Security analysts believe the US may also be using new technology to track al-Qaeda leaders. Considerable investment has gone into a programme looking at "Clandestine Tagging Tracking and Locating" technologies. These allow individuals to be invisibly tagged and tracked or located at great distance by unique identifiers. Together with more traditional methods like human intelligence and the tracking of communications, these technologies are thought to have been employed aggressively against al-Qaeda. Most individual leaders are largely replaceable for al-Qaeda, apart from perhaps one or two who have particular expertise in developing unconventional weapons - men such as Abu Khabab Al-Masri who was reportedly killed by a strike last year. But senior western counter-terrorism officials say the campaign is having a strategic impact. 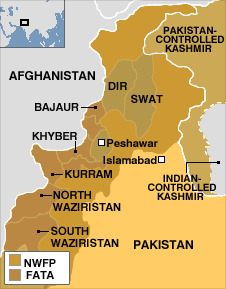 The tribal and border region of Pakistan is no longer a safe haven in the way it was, they say. Senior al-Qaeda leaders are forced to spend more time on the move and more time worrying about their own security and consequently less time planning new operations. The surge in attacks is not without controversy, particularly in Pakistan where they are widely seen as a violation of sovereignty which can also involve civilian casualties. There has been considerable speculation about whether the government in Islamabad has covertly agreed to allow the strikes to happen - it looks the other way and only makes token protests when they do. So how long will this campaign continue? The incoming Obama administration may be reluctant to soften its stance and back away from what is clearly a successful programme from the American perspective. But if the issue becomes "too hot" - and risks destabilising the already fragile political and military situation in Pakistan, then that might change the whole equation.